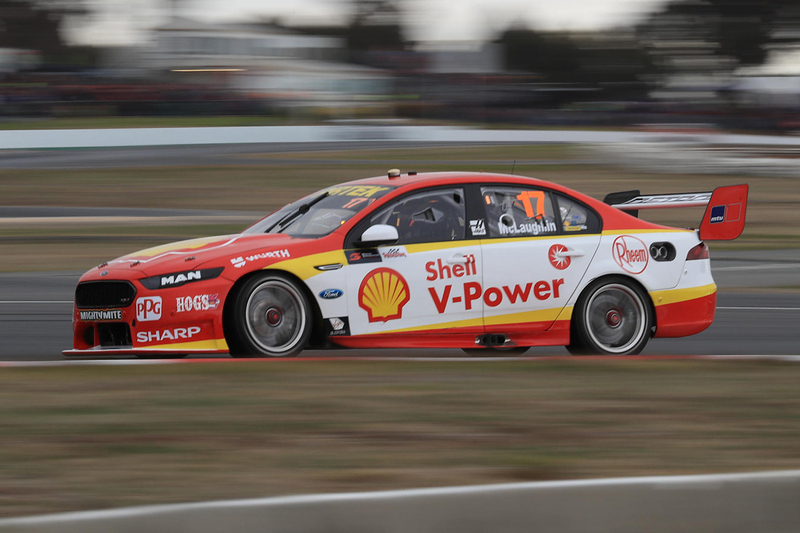 Scott McLaughlin was surprised his rivals didn’t react to the early pitstop that enabled him to regain six places in the opening stages of Sunday’s race at Winton. McLaughlin dropped back from pole to eighth on the opening lap thanks to a poor start and, stuck behind the two Red Bull Holdens, was the first frontrunner to pit, on lap four. Taking on a short first fuel fill, the championship leader was the fastest car on track shortly afterwards while circulating in clear air. 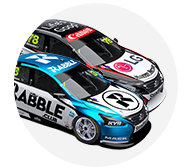 None of his rivals pitted immediately to maintain their track position – Rick Kelly the next heavy-hitter to stop on lap 10. 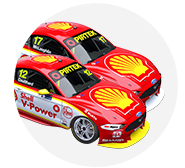 Scott Pye, Jamie Whincup, Michael Caruso and Chaz Mostert all pitted from top six places between laps 11 and 16 and, one by one, filed out behind McLaughlin. 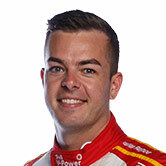 Shane van Gisbergen went longer still, stopping with leader and eventual winner Fabian Coulthard – McLaughlin's Shell V-Power Racing team-mate in a class of his own at the front – on lap 21. The Red Bull Holden also returned to the track behind McLaughlin, but regained ground later in the race and ultimately took second from the Falcon on track in the final stint. Regardless, on a circuit where track position is traditionally king due to limited passing opportunities, McLaughlin was surprised to find clear road during those critical early laps. “I was expecting Shane to cover me really quickly, but they didn't,” he said. “I was pushing, enjoying that clear air for a bit. I probably went back out a little bit too quick but it felt like our car held onto its tyres really good. “I got in front of Caruso and knew if I could just hold him for six or seven laps his tyres would probably heat up and he would probably be more equal. That's what we managed to do. Caruso’s Nissan was faster than McLaughlin early in the second stint, but was unable to find a way by. 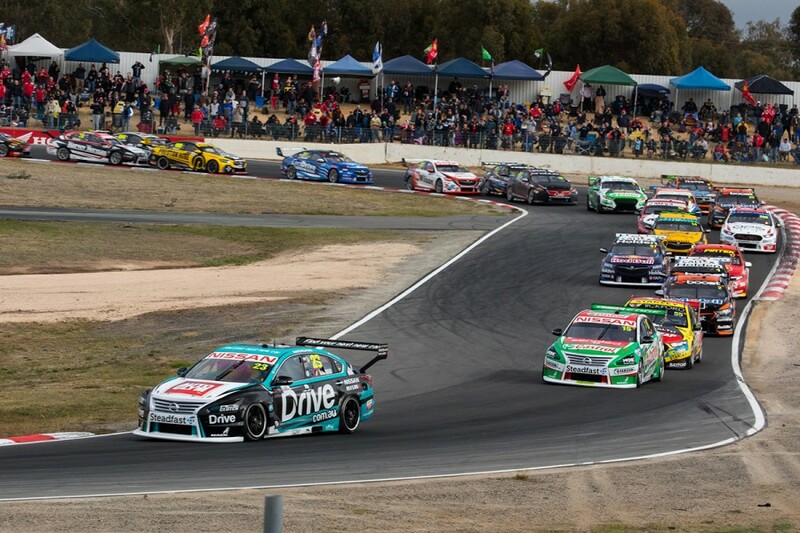 Nissan had gone aggressive with strategy when mixing it with the leaders at Phillip Island last month but, on this occasion, elected to take the conservative route. “We certainly had our eye on it,” team manager Scott Sinclair explained of McLaughlin's strategy. “He did short-fill more than we were anticipating, that we wanted to do with our cars, so after he did that we just let it run its course. “You obviously can’t cover everyone and we knew he had pace [on Saturday] and expected it’d be the same. “It’s not conceding defeat as such, and Michael was nearly able to get past him, but you’ve got to hedge your bets a little bit. “There’s a potential for it to backfire if you cover the first guy that stops. “Certainly with the #15 car (Kelly), we jumped back as far as we could behind him [by taking a long first fuel fill] and tried to use that to come up to him. 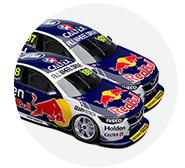 “We made up half the gap, and then Pye and Whincup slotted in that gap [between McLaughlin and Kelly after the first stop], and Michael jumped in-front of those guys. “We nearly had [Caruso out in front of] Scott and then I think we’d be having a slightly different conversation, but we just weren’t able to do it. 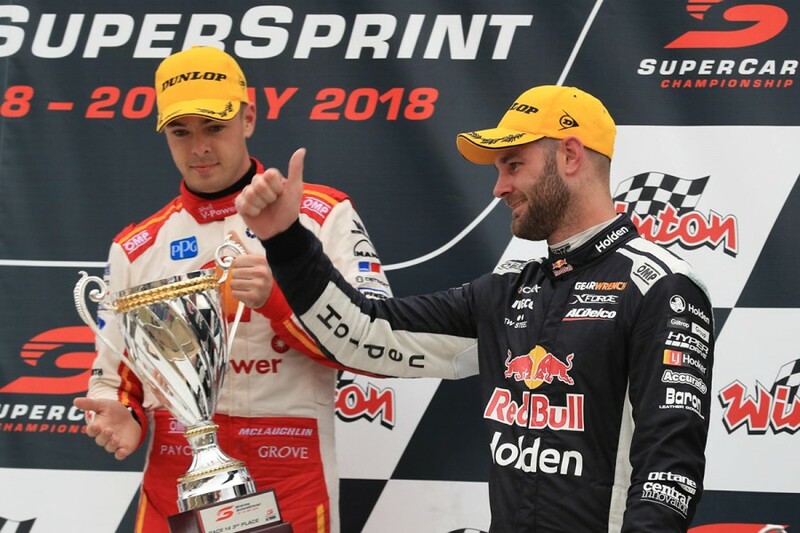 Although running longer meant van Gisbergen had to fight his way around McLaughlin in the closing stages, his strategy was ultimately vindicated by the final podium order. “We definitely thought about it,” team manager Mark Dutton said of covering McLaughlin. “But we tried to play the long game, which in the end did work with Shane.